As part of Veteran's Day weekend, the Georgia amusement park is pulling out the stops. A major Georgia amusement park is thanking military personnel with free admission on the weekend of Veteran's Day. 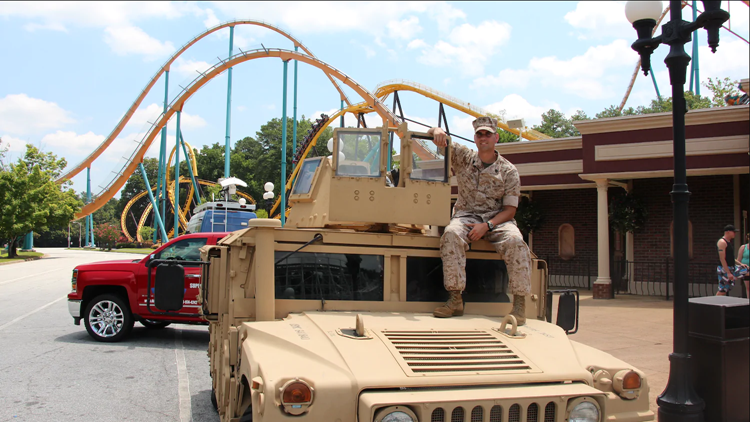 Six Flags Over Georgia is offering complimentary admission to active military members and up to three dependents. Even if that service member is deployed, a spouse and up to three dependents can still get the complimentary admission with a military identification. Active military can also purchase an unlimited number of tickets for 50 percent off. But the salute doesn't only apply to the active-duty military. Veterans will also be offered one free admission ticket to Six Flags with a valid a valid military identification. They, too, can purchase additional tickets for 50 percent off plus tax. Contractors and government civilian personnel can also receive tickets for themselves and others for half off. All tickets must be purchased at the front gate with a valid military ID and redeemed during Military Appreciation Days to get the special discount.